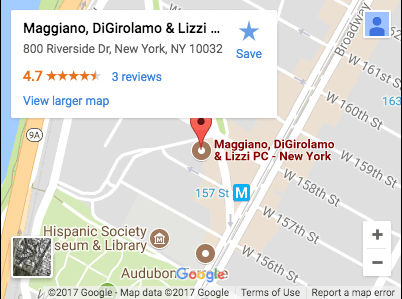 New Jersey Food Poisoning Lawyer | Maggiano, DiGirolamo & Lizzi P.C. Approximately 1 in 6 Americans—averaging out to 48 million people—get sick from foodborne illnesses every year, according to the Centers for Disease Control and Prevention. However, despite the ubiquitous nature of food poisoning, many people do not realize they can file a personal injury claim to recover their losses. If you can prove that you were served contaminated food and it made you sick, a food poisoning claim allows you to recover medical expenses, lost wages, and other damages. If you or a loved one has experienced serious illness or complications due to food poisoning, contact Maggiano, DiGirolamo & Lizzi today. Our personal injury attorneys have more than 80 years’ worth of combined trial experience and have collected more than $300 million for clients in New Jersey and New York. We are committed to investigating your claim and holding the guilty party accountable for their actions. Call (201) 585-9111 or contact us online to speak with one of our experienced attorneys. The CDC estimates that foodborne illnesses hospitalize 128,000 Americans every year, and they cause approximately 3,000 deaths. Foodborne illnesses are usually acute, meaning symptoms come on quickly and disappear after a short period of time (anywhere from a few hours to several days). However, foodborne illnesses can lead to serious complications in some cases, including dehydration or hemolytic uremic syndrome. Food poisoning can also lead to chronic disorders like reactive arthritis, irritable bowel syndrome, Guillain-Barré syndrome, high blood pressure, and kidney problems. Failure to properly prepare: Many raw foods contain bacteria when purchased, including meat, poultry, fish, shellfish, eggs, unpasteurized milk, and fresh produce. If food preparers do not wash their hands, cutting boards, utensils, or surfaces frequently, the bacteria from raw foods can infect other foods. Failure to properly cook: Bacteria thrives in an environment between 40 and 140 degrees. Failure to keep cold foods cold and thoroughly cook hot foods can allow the bacteria to multiply and cause illnesses. Proving your food poisoning claim generally requires you to prove two things: that the food was contaminated and that it made you sick. The time delay between ingesting contaminated food and showing food poisoning symptoms is usually the biggest obstacle to proving your claim. You must pinpoint the exact food that caused the illness (which is generally much easier when the illness affects multiple people). Visit the doctor as soon as possible after symptoms start to show to give yourself the best chance of proving your case; medical tests can determine which microbes are present in your body, allowing an experienced attorney to prove the source of your illness. Once you have established the food that gave you food poisoning, proving the actual illness is much easier. Typically, a stool sample tested for bacteria, viruses, or parasites will scientifically prove the presence of a foodborne illness. There are two types of damages available in a New Jersey personal injury claim: compensatory and punitive damages. The vast majority of personal injury cases deal with compensatory damages, which are designed to compensate the plaintiff for his or her monetary and emotional losses. Medical treatment, such as ambulatory services, hospitalization, surgery, and rehabilitation. This includes reimbursement for treatment you have already received as well as compensation for future estimated medical costs. Income, including wages lost due to the injury and money the victim would have made in the future if not for an ongoing condition. Property damage, including damage to your vehicle, personal items, or clothing due to the incident. Pain and suffering, meaning the physical pain and discomfort caused by the illness. Emotional distress, which includes fear, loss of sleep, anxiety, post-traumatic stress disorder, and other psychological effects. Loss of enjoyment or consortium, including inability to enjoy day-to-day activities, inability to pursue hobbies, and inability to enjoy recreational activities. Punitive damages are reserved for cases in which the defendant’s actions were particularly egregious or intentional. For example, say you sent a dish back because it was cold. The food preparer gets angry and decides to contaminate the food by not washing his hands. If you could prove the food poisoning was intentional, you could be entitled to punitive damages as well as compensatory damages. Maggiano, DiGirolamo & Lizzi are prepared to fully investigate your claim and aggressively pursue compensation. Our team of personal injury attorneys have achieved a number of significant verdicts and settlements for victims of catastrophic injuries and amputations. With more than 80 years’ worth of combined trial experience, we are equipped to handle every unique situation. Maggiano, DiGirolamo & Lizzi have collected more than $300 million for clients throughout New Jersey and New York, both in and out of the courtroom. Maggiano, DiGirolamo & Lizzi are here to help you recover your losses. If you or a loved one has experienced serious illness due to food poisoning, contact us today for a free consultation. Call (201) 585-9111 or contact us online to start exploring your options today.